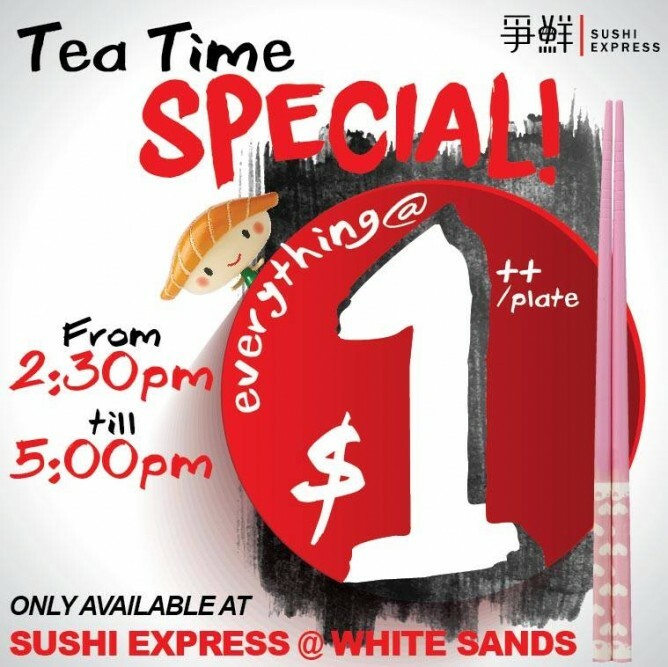 Enjoy and time to round Tea Break Special and it only happening at Sushi Express White Sands outlet. Previous: Amazon: Rebecca Minkoff Fringe Mini Mac Cross-Body Bag Via Coupon Code. Next: Häagen-Dazs’s: Free Flavoured Latte is Limited to Chocolate Latte Only.